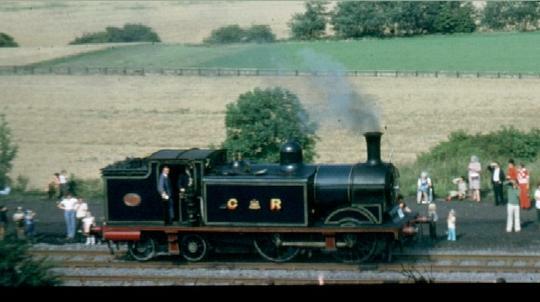 Running through Heighington on 31st August 1975 in the Cavalcade of locomotives marking the 150th anniversary of the opening of the Stockton & Darlington Railway. 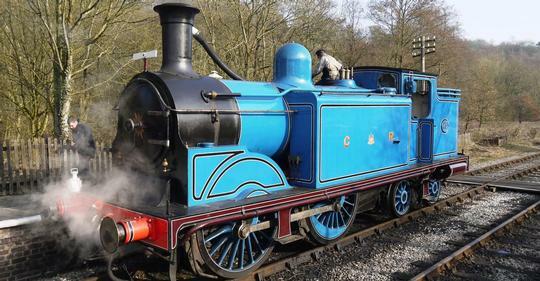 Taking water at Kingsley and Froghall station on the Churnet Valley Railway, 24th February 2019. 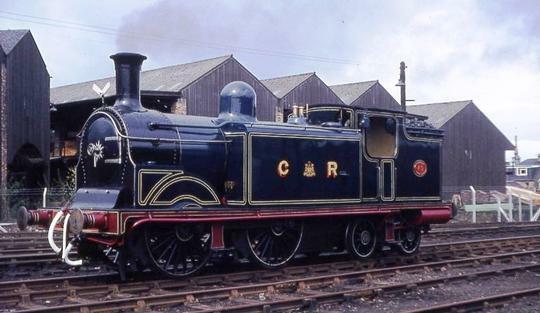 Pictured at Falkirk in April 1976. 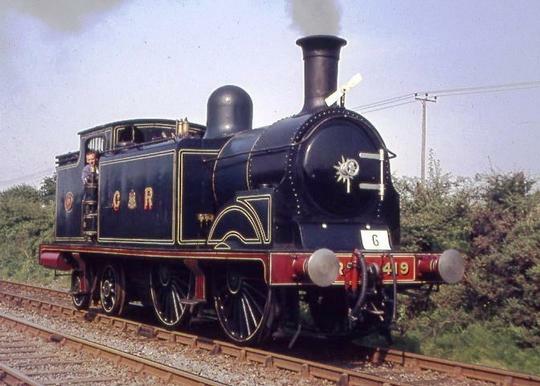 At the time, the Scottish Railway Preservation Society was based at Falkirk. 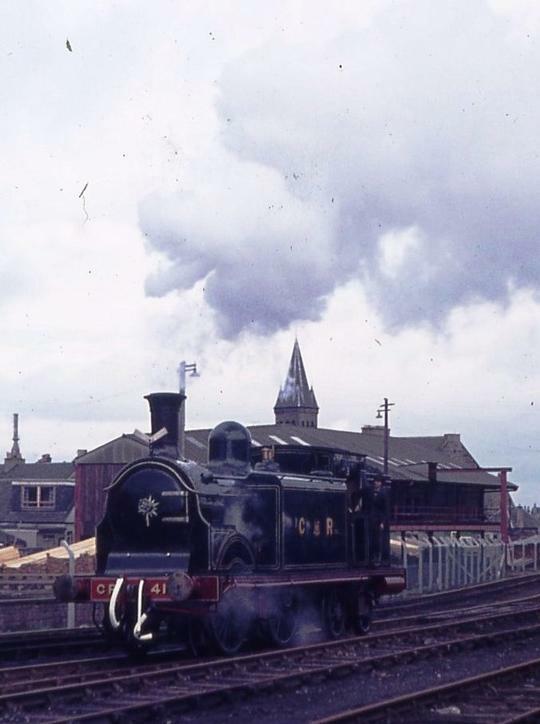 They later moved their entire collection of locos and rolling stock to Bo'ness, where they rebuilt the complete branch line to the junction with the Edinburgh - Glasgow line at Manuel. 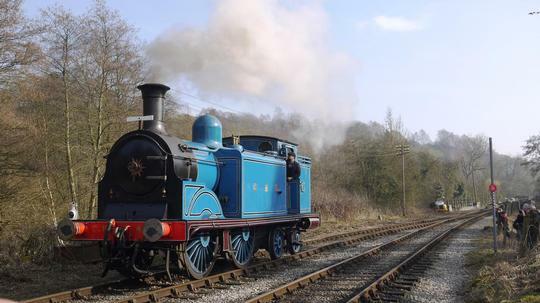 Pictured running light engine on a visit to the English Churnet Valley Railway on February 24th 2019. 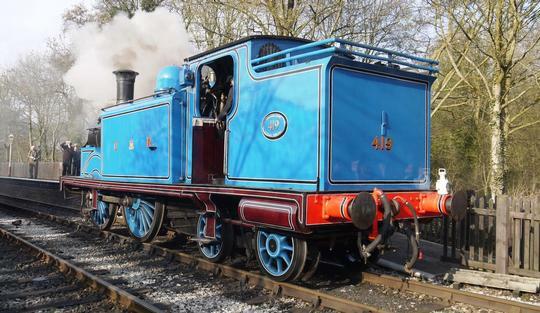 Following the overhaul completed in 2018, the loco is now in the lighter shade of blue used by the Caledonian. 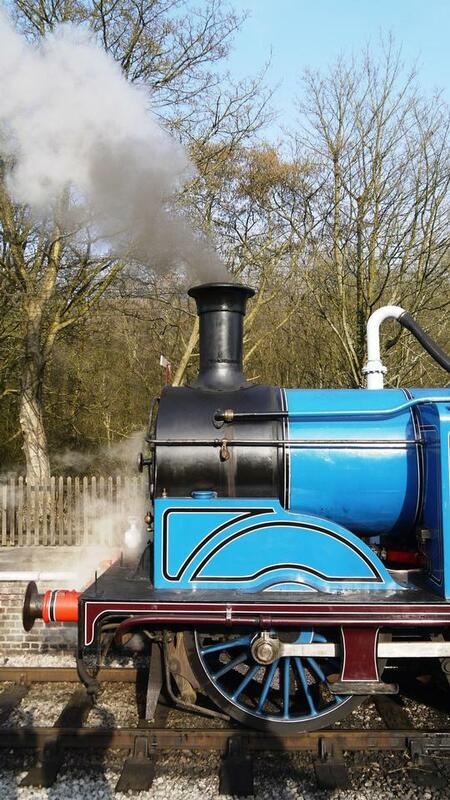 Known as 'Perth Blue' it is a contrast to the darker blue the loco carried earlier in preservation. Rear end view on it's visit to the English Churnet Valley Railway on February 24th 2019. The striking 'Perth Blue' is shown to good effect. Front end study shows the large diameter driving wheels of this passenger tank locomotive. 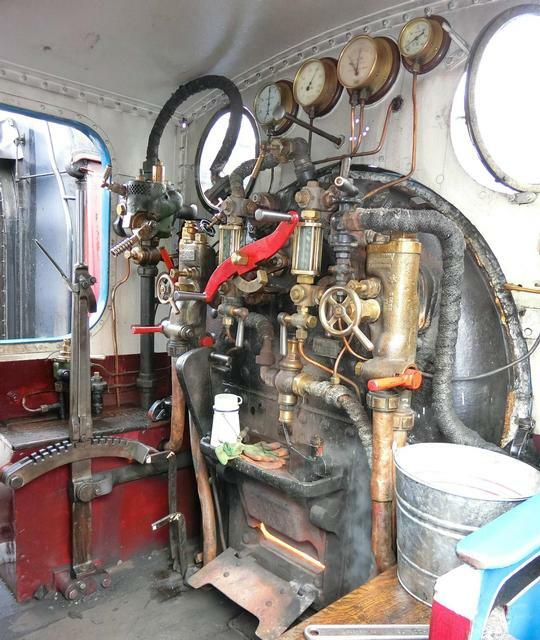 A peek into the cab of No.419 shows that it is a left hand drive loco.